Those evil Jews did this because they’re evil. This was an innocent mistake, and a normal friendly fire incident. Neither is wholly true, and neither is wholly wrong, but the former is not specific to Israel but to international politics itself, and it is possible that part of what went wrong was America’s incompetent scumbag president Lyndon Baines Johnson. (Grammar fans will note that there is no comma after “incompetent scumbag president,” implying that there are multiples of this quantity). The authorsâ€™ bottom line is that then-U.S. President Lyndon B. Johnson was behind the attack, in an attempt to blame then-Egyptian President Gamal Abdel Nasser â€“ an excuse that would then enable the United States to join the Six-Day War. The book includes, among other things, a CIA document from November 1967 that is still partially censored. 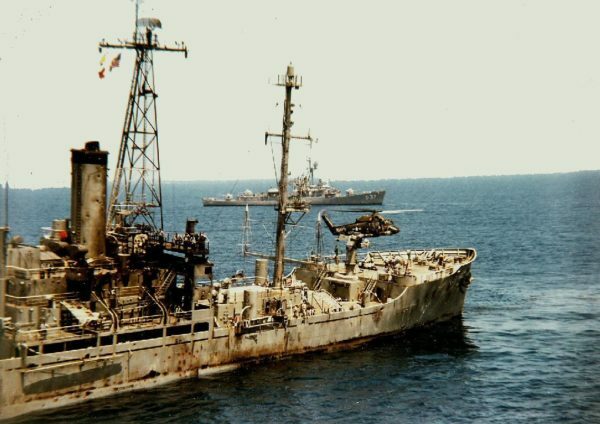 In the document, which is also on the official CIA website, an anonymous source is quoted as saying: â€œThey said that [then-Israeli Defense Minister Moshe] Dayan personally ordered the attack on the ship, and that one of his generals adamantly opposed the action and said, â€˜This is pure murder.â€™â€ There is no dispute about the authenticity of the document, but clearly not every sentence written in an intelligence document is the unvarnished truth. Israeli pilot to IDF war room: But sir, itâ€™s an American ship – I can see the flag! 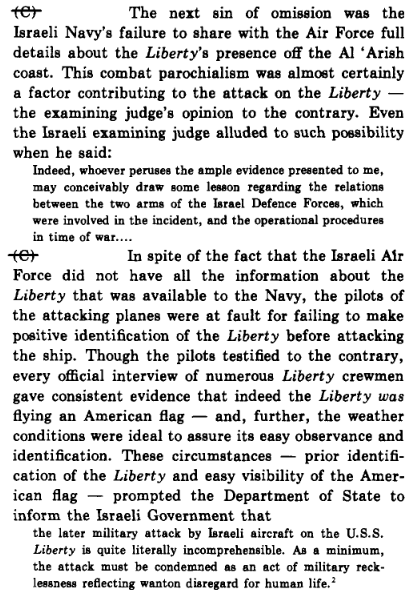 What is interesting about both of these data points is that they show some Israeli generals and pilots objecting to the attack, which had two parts: jet strafing and rocket attacks, which shot down the American flag from the ship, and a torpedo attacked, which occurred later when the ship was unable to signal because its signal light had been destroyed. There were a few screwups in sequence that made this grotesque error possible: (1) the removal of the ship from naval maps, because it was recognized as an intelligence ship, (2) the failure of US and Israel to have open communication lines because of threats from the government of Egypt to consider the US a partner, not to mention the fact that the US had no idea where the ship was owing to a complex series of messaging bungles, (3) the failure of IDF command, owing to its division between air force and navy, to correctly identify the ship, (4) the reliance of the IDF commander behind the initial attack on this data, and (5) the destruction of the flag, and the approach by torpedo boats from a side where they could not see the boat registration painted on the hull. 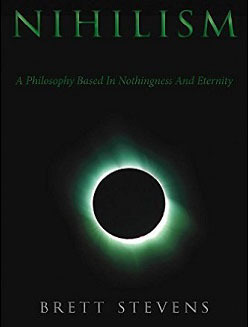 Like most interesting things, you could not summarize that in in a sound bite, or the catchy thesis of a mainstream political book, or even a statement in a long-interview. People need simple stuff. So here is the simple stuff: the IDF attacked this boat out of mostly incompetence, but second, a malevolence toward whatever was shelling the coast of Israel, and possibly quite a bit of arrogance as they had just destroyed four Arab air forces and were enjoying dominance of the skies; the Americans tried to stay out of a conflict that was inevitable, and in doing so, may have incurred some wrath; and the IDF did not know that the U.S.S. 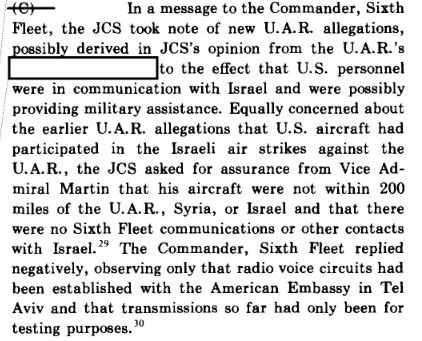 Liberty did not have a Hebrew speaker abroad, and therefore could not be leaking Israeli traffic to the other side, and the IDF might also have been enraged at what it perceived was spying on Israel. We are not going to know what happened because the coverup began as soon as the event was discovered, which happened two hours later when Israel reported the screwup to the US. So what still rankles about the U.S.S. Liberty attack? In Western European culture, when a screwup is made, the correct thing to do is to blame those responsible and to offer to pay restitution. In Middle Eastern culture, the correct thing to do is to defend your own position. Those are incompatible values. This is complicated by the fact that Israel had just waged a military gamble, and did not want to report any type of failure in the process, as that war was already controversial, as was newly-appointed Israeli Minister of Defense Moshe Dayan. Even more, there had been a glitch: when Israel destroyed the Arab air forces, Arab navies joined the battle, shelling nearby areas on the shores of Israel. They were cucked, as usual, into not taking sides, which surely pissed Israel off and contributed to the not really giving much of a damn about the U.S.S. Liberty. Johnson, the canny politician and corrupt operator who faked his way through a dozen elections before inheriting the office of the presidency, was unwilling to take the political risk, and so he sacrificed American servicemen by sending them blind into a combat zone full of angry and possibly inept actors. Much of the legend of the IDF comes from the wars of the 1960s and of course, the abilities of the Mossad, its spy agency. However, every army has its failings, and disorganized command hierarchies are a frequent problem. 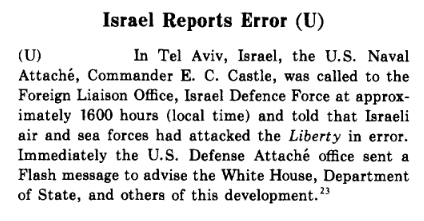 In addition, it is worth noting that the IDF of the 1960s is not the IDF of today. Back then, it was staffed by those who had fought in the world war and were mostly paranoid, being surrounded by enemies. As usual, if one looks far enough into a situation, the easy answers evaporate. Israel gained nothing militarily from attacking the U.S.S. Liberty and took a public relations hit for it, which they recognized immediately. Their ineptitude caused problems. This was compounded by the incompetence of the Americans, who did not know the position of their ship nor could get orders to it signaling that it should move to a safer location (read the report for the story of that entertaining and despairing multi-bungle). At that point, a culture clash between European-derived and Asian-derived cultures came about, with people saving face as best they could, and at that point a cynical and corrupt American presidents swept the incident under the rug. He steps straight into nonsense here: not only do Russia and China spy on the United States, but after the Jonathan Pollard case, no one doubts that Israel does as well. Mossad is well-known for sharing information across loyalty lines when it can gain something from this. That is not just sensible from an intelligence perspective, but the norm in international politics. Only the citizens of the West — brainwashed by democracy and its assurances that good intentions are better than good outcomes — would believe such nonsense. Every nation is spying on every other nation, and the world of international espionage resembles a market more than an ideological battlefield. Even more, nations even attack allies when they push too far. So, what a complex web we weave… the charges against Israel, far from being “anti-Semitic,” are actually right, up until the point where people think this was more than incompetence plus a rogue commander, probably both the son of someone important and less than competent, hence his assignment to someplace they thought he could not screw up, plus the fast coverup. So they are not quite right. 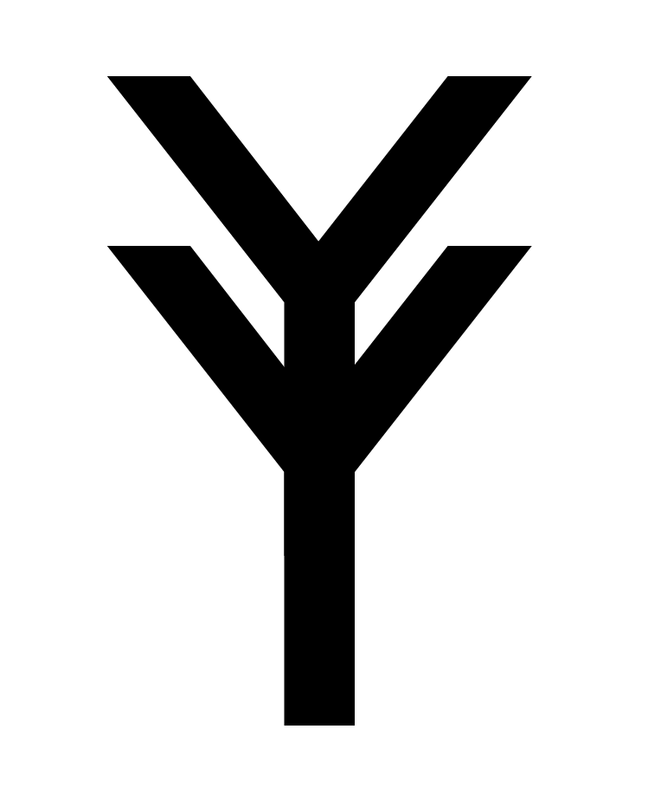 And in turn, the lack of charges against the Americans, for fence-sitting and an inability to correctly manage their assets, are not wrong and should be mentioned more frequently, but in the typical human monkey us-versus-them outlook, they are not. No one is 100% innocent, as the herd illusion would have us believe. Neither were the Israelis all good, nor were the Nazis all bad, and even the Soviets did a number of good things. The Arab states are not evil, but simply primitive, which explains their continued ultra-failure against tiny Israel. The USA thrived because of Western genes, not Judeo-Christianity; Israel thrives because of the IQ boost that Jews acquired when traveling through Europe during the diaspora. None of these things can be admitted in public. And there, dear readers, is where I bestow the blame for the U.S.S. Liberty disaster: we live in a time that is ruled by We The People, and We The People demand simple and stupid lies instead of complex truths. In this sense, the real conspiracy is democracy itself. A belief in the goodness of America, anti-Semitism, Communism and blind vilification of Nazism are all poisons from the same root, which is the herd pathology of self-delusion.